Nina Saxon is an award-winning title designer and art director of feature film and television title sequences. After graduating from UCLA's Motion Picture and Television program in 1975, Nina began her career as a commercial motion graphics artist. During this time, she also worked as a special effects animator in feature films, most notably on the original Star Wars trilogy. 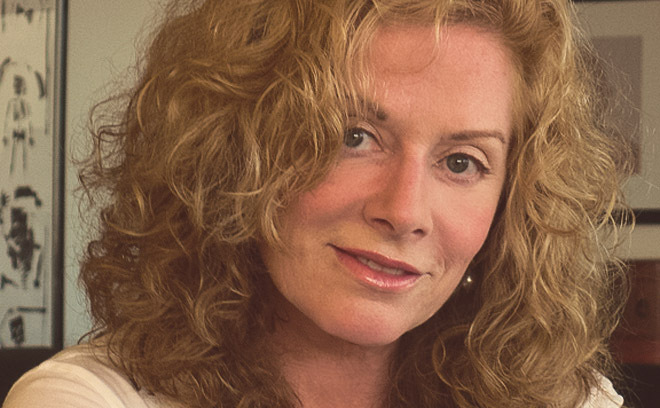 In 1981, she founded Nina Saxon Film Design and created the title designs for films including Paternity, Romancing the Stone, and Back to the Future. In 1986, she joined forces with title designer Deborah Ross to form Saxon/Ross Film Design, a collaboration which lasted until 1992. Thereafter, she designed under the moniker Nina Saxon Design and over the next several decades produced title cards and sequences for films including Beauty and the Beast, The Fugitive, Forrest Gump, The Craft, Contact, The Departed and Salt. Nina has also worked extensively on the small screen. Her TV title sequence credits include shows such as Picket Fences, Wings, Early Edition, and Gilmore Girls. She has taught courses on title design at UCLA, Chapman University, and the Otis College of Art and Design.